Choosing your insurance provider while unemployed can turn into a full-time job. Choosing an insurance plan isn’t easy. Especially if you’re unemployed. The options can seem endless, particularly when you don’t know where to start. Start off with figuring out how the Health Insurance Marketplace works. 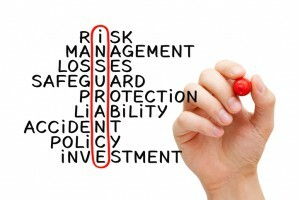 But what else do you need to know before you choose an insurance plan? Here are our top three questions to ask that will make your search easier. 1. Will it satisfy the individual mandate of the Affordable Care Act? The individual mandate of the Affordable Care Act (ACA) states that if you don’t have ‘qualifying’ insurance for nine months out of the year prior to enrolling in insurance, but are classified as being able to afford it, you have to pay a penalty because you were uninsured after the ACA’s rollout. This fee will be applicable for any month you, your spouse, or any dependents did not have ‘qualifying’ health coverage. As noted on the HealthCare.gov website, the amount of the fee will be either 2.5% of your household income (capped at the total yearly premium for the national average price of a Bronze plan purchased on the ACA marketplace), or $695 per adult and $347.50 per child under 18 (capped at $2,085). You will pay whichever amount is higher. So what types of health coverage don’t qualify for the individual mandate? They include: having coverage for only vision care and/or dental, workers’ compensation, coverage for only a specific disease or condition, and plans that only offer discounts on medical services. Compare your options at the ACA marketplace for your state by inputting your zip code at HealthCare.gov. If your state doesn’t have a state marketplace, you will be redirected to the Federal marketplace. 2. Can I afford a higher deductible? Next, you should ask yourself what type of deductible you can afford. If you choose a higher deductible, you will have to pay more before insurance kicks in, but your monthly insurance premium cost should be lower. Choosing a low deductible means your premium will generally be higher. It’s the same as car insurance — if you can afford a higher deductible, you could save money. If you choose to enroll in a health maintenance organization (HMO), you usually won’t have to pay any deductibles or copays so long as you stay in network. However, these benefits come with reduced freedom in choosing your doctor. 3. Will I be moving soon? Before you choose a plan, make sure that you aren’t going to move any time soon. If you enroll in a health insurance plan from the ACA marketplace and then move to a new state, you’ll need to switch to a plan offered by the new state. Moving to higher income areas may also result in having to re-enroll. Moving is categorized as a qualifying life event, meaning that you can sign up for new insurance right away. That means getting to do all of the paperwork over again. Have any more insurance questions? Let us know in the comments below!